The Nissan Altima is a tale of two cars. It started out in 1993 as a compact car, called Model U13. By 2002 it became a larger car, falling into the Mid-sized car class. It is still in production in it’s fourth generation now. All of the Altima’s are front wheel drive, therefore all of the engines offered only fit FWD cars. Assuming you are reading this because you have some sort of engine problem, let me cut through the mustard first. 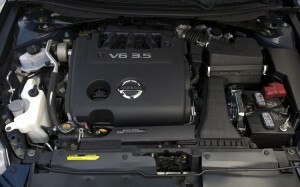 If you are here for any Car Engines for Sale Nissan Altima included, then call CarEnginesForSale.com right now. For those interested in more detail, read on. Recommending an engine is a sensitive subject. Our staff of professionals are trained to listen to your issues thoroughly so we can provide the right information for you to make the right engine replacement decision. With CarEnginesForSale.com YOU have CHOICES. We sell several variations of replacement engines. One of them is sure to fit your needs. The variations include low mileage used engines for models that are not over 10 years old. All of which are pre tested and certified to be in perfect order. For newer models, you might want to consider this option, you can always call and find out more. Our line up of rebuilt engines or remanufactured engines is unparalleled in terms of quality and value provided. Remanufactured or rebuilt engines, technically the same thing are great for the older models. Long term value is the keyword here. Consider the cost of the engine, then consider the amount of trouble free miles it will deliver, then you can see the cost per mile is quite low for such an engine. Some folks inquire about brand new “crate” engines from the factory. Not only do we have new crate engines, but you can expect to pay a fraction of the dealership prices for said engine. The bottom line is this, you need to call and talk about your issue to one of my trained engine specialists and learn more about the subject. Educated consumers understand better and make the best decisions. Call CarEnginesForSale.com right now.